One benefit of trolling European bike shows is bumping into ex-factory race bikes hauled from the vaults. Munich’s BMW Museum was in a generous mood in 2013, and toured a pair of its crown jewels – Ernst Henne’s 1932 and 1937 Land Speed Record racers – to both the Concorso di Villa d’Este and its opposite, the Wheels+Waves festival in southern France. 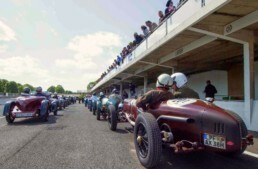 I’m a moto-judge at the Concorso, and crawled around that supercharged ’32 750cc LSR machine like a horny snail. In as-raced condition, it’s among the most beautiful wheeled vehicles ever built, with elegant shapes cladding brass-balls technical savvy. In Biarritz, it sat defiantly amidst a sea of Alt.Customs, which paled beside it. 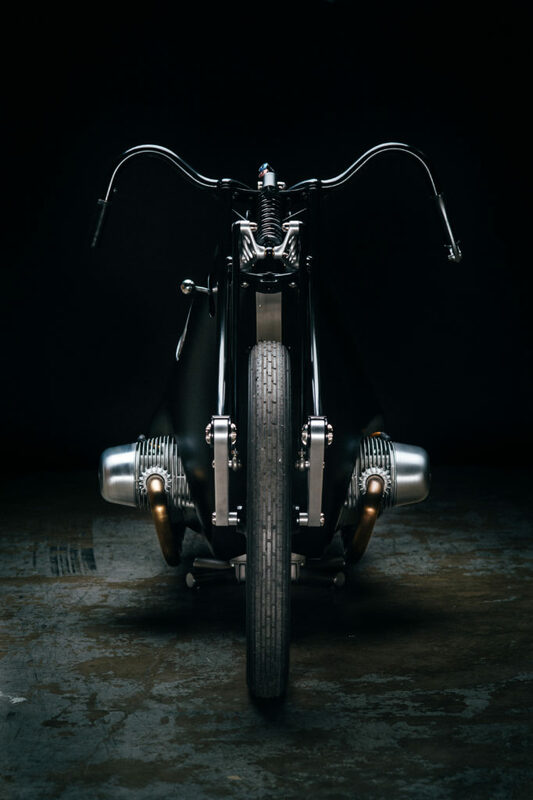 I bent the ear of any builder listening, wondering why nobody had taken inspiration from this, to escape the humdrum sameness of café racers and choppers. 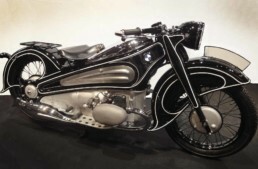 The next year, Japan’s Cherry+Co displayed a BMW RNineT homage to Henne’s bike in that very hall, with gorgeously updated sheetmetal and pinstriping; a work of inspired genius. 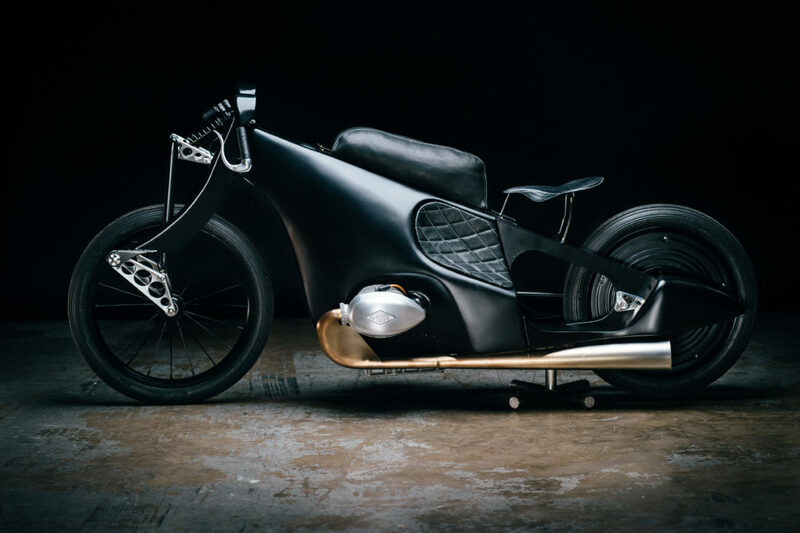 The Landspeeder is indeed beautiful, and dramatic, and while conjuring the spirit of Henne’s racer, in construction it’s a completely different animal. The use of an inexpensive BMW 100/7 powerplant left plenty of space for Revival’s stamp, seen from the streamlined valve covers inward. 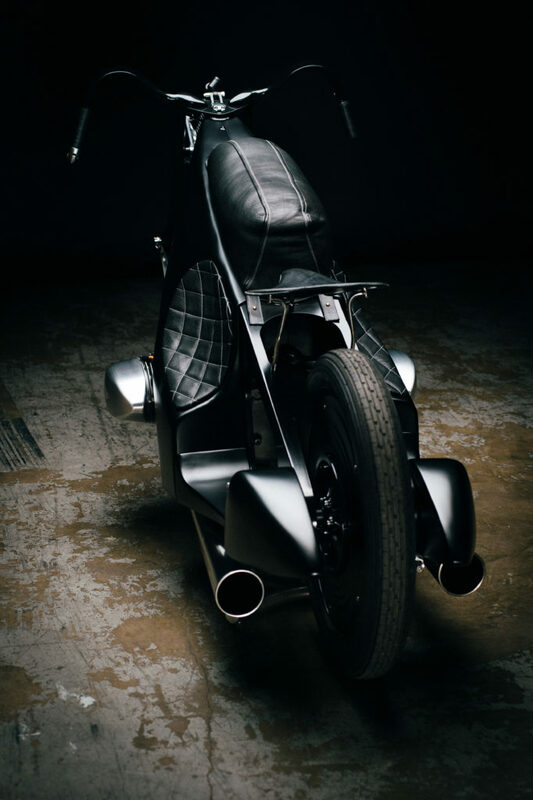 Distinctive details include the quilt-padded knee indents, the faired-in handlebar, exhaust, and fork blades (all as per Henne), and that crazy trumpet air intake just behind the shifter knob, where the fuel tank normally sits. 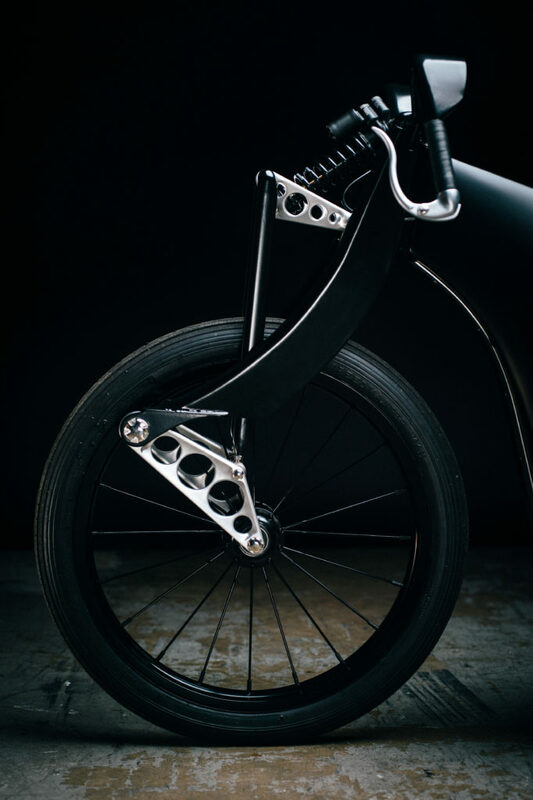 All the stainless hardware holding the front end and frame together is custom made – “no parts-bin cap nuts here”. The Landspeeder features ‘all black everything’ as the team omitted the distinctive pinstriping of the original; Henne’s body panels are hand-hammered and lumpy as a bag of lemons, but Andy James had the luxury of time for a perfect fit and finish, and those purposeful, Deco-streamline shapes need no accent. It’s an onerous task for a designer to update a legend, made still harder today with internet trolls lurking under every comment box, pikes and torches at the ready. 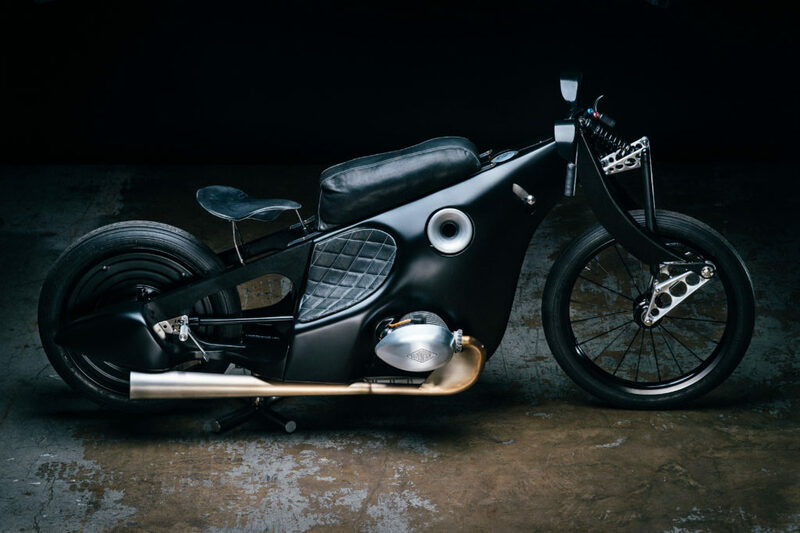 Stulberg was plenty nervous when Revival’s Landspeeder debuted on BikeExif, as it’s by far the most outrageous custom they’ve built. “I presented the bike as the truth, and the truth will save us. 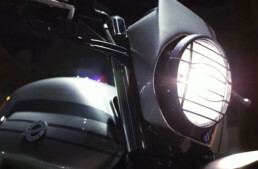 This bike wasn’t even meant to run, but it does; that was critical for us, and we shot a video blasting down the road. It’s so loud!” He needn’t have worried; the comments box was overwhelmingly positive, but more surprising was the interest from established collectors like Peter Nettesheim and the BMW factory itself. “That’s the best approval you can get – from the old school – it means more to me than all the dudes on the internet”. In a few short years, Revival Cycles has moved smack into the middle of the moto-culture Renaissance. 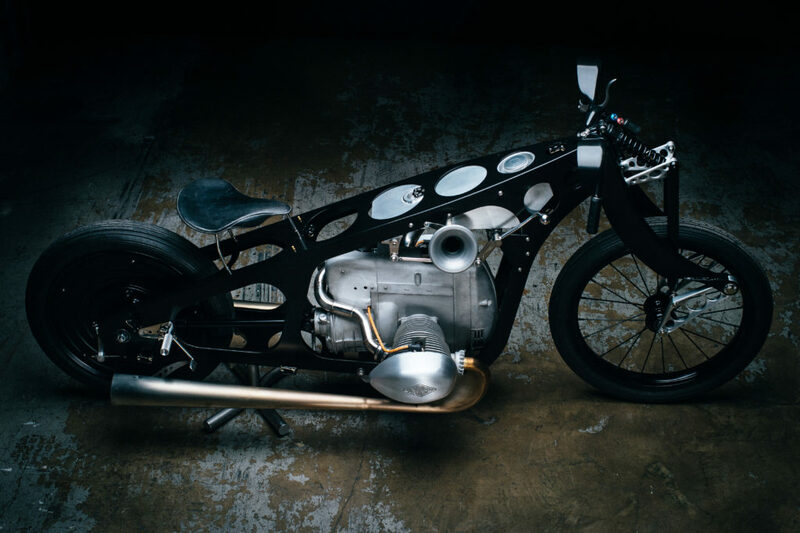 They build innovative Alt.Customs, travel the globe to ride their machines and support events, and host the increasingly important Handbuilt Show (April 20-22, 2018) in Austin. Much-shared photos of the Revival team wheelying their customs at drags and ice races tells the tale; their stuff works. And it had better; that second iteration of the Landspeeder will house a supercharged BMW HP2 motor, with near 200hp on tap, and should handily exceed Henne’s record on its Bonneville debut. Given Revival’s knack for gorgeous functionality, there’s little doubt we’ll be ogling a very fast black projectile in the near future, made even more appealing with a coat of high-speed salt spray. 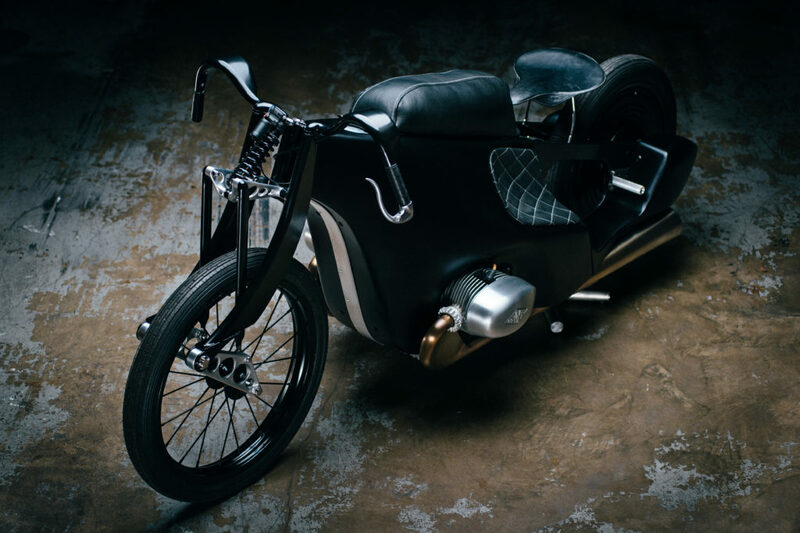 I’ve been enamored with this bike from the moment the images and articles hit the press . Question is Paul .. have they built the second version yet ? And if so when are we going to see it competing at the likes of W&W’s etc ?